Start your travel adventure in the United States of America in Washington D.C. by train, the country’s capital. 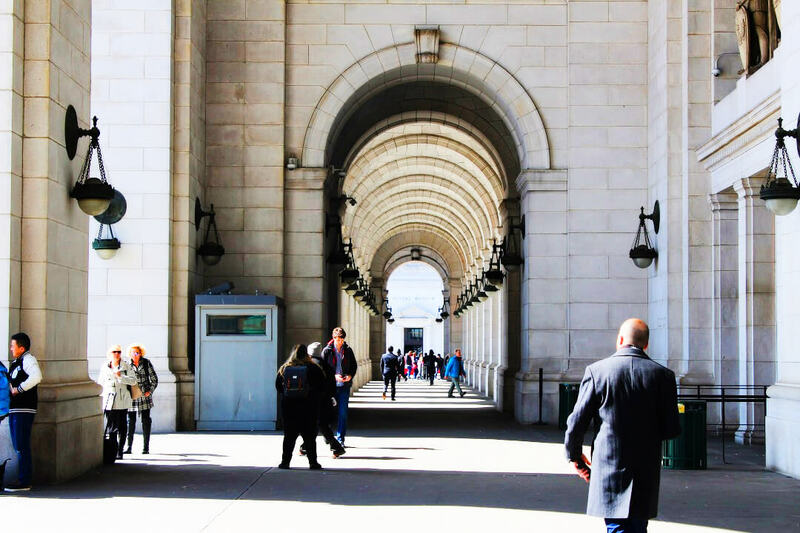 The Union Station of Washington D.C. is closely located to all sights and a perfect starting point for exploration. Washington D.C. is full of hidden gems, but also contains the most iconic sights of the USA. 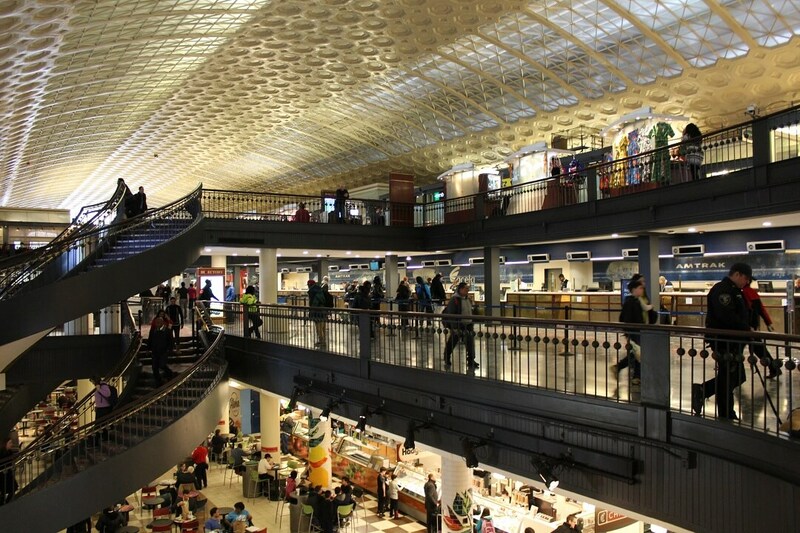 Walk from Amtrak’s Union Station towards Capitol Hill and the whole city opens up to you. Be aware that if you walk towards the White House, that you will first end up at the back side! Can you spot the President? Why traveling through the United States by train? When you think of traveling through the United States, you think of a road trip. Driving alongside the ocean shore, having the time of your life. Or cruising through an endless landscape enjoying the views for hours after hours. I was confronted with that thought when I traveled to the United States for work in 2018. After 2 months of extremely hard working I was ready for another adventure. I can’t remember how, but the thought of traveling by train came up. I had plenty of experience traveling by train within Europe, but not at all in the USA. After some research it turned out that it was possible to travel to the other side of the USA by train, and back, within 2 weeks. So without further hesitation, I started my research and quickly after bought a 15-day Amtrak rail pass. Who would have expected that?. 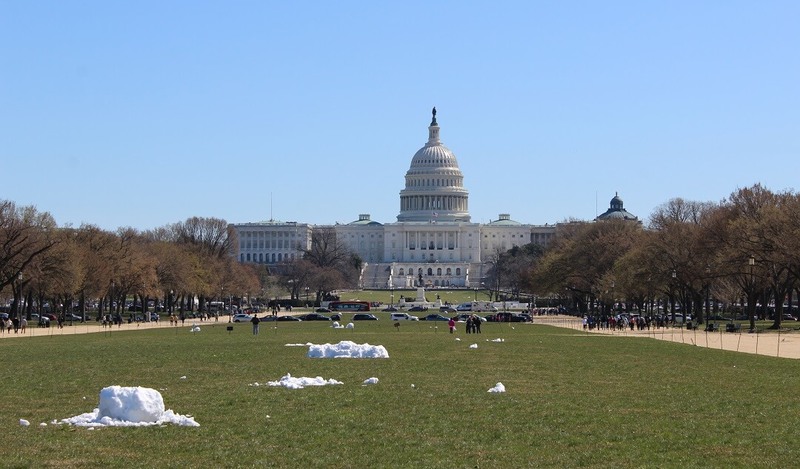 In this blog I will tell you about all sights around Washington D.C. and how to travel to the other side of the United States by train. 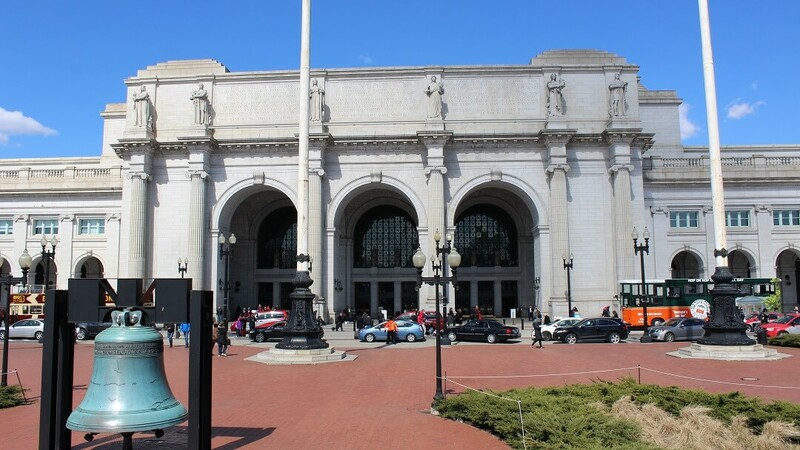 The train station of Washington D.C., Union Station, is conveniently located right in the center of the capital. All major sights in Washington D.C. can be reached on foot! Luckily close to the train station there is an amazing bakery that can fuel you with endless amounts of energy for your exploration. If you stand in front of the Union Station, you have an amazing view on the Capitol. This is also the way to walk towards the White House and the Supreme Court. Those 3 sights are connected by one massive recreational area which is lovely to stroll through. Around the park you will find numerous memorials, such as the Lincoln memorial and the Korean War Veterans memorial. Also there are plenty of amazing musea’s to explore, for example the Smithsonian National Air and Space museum. 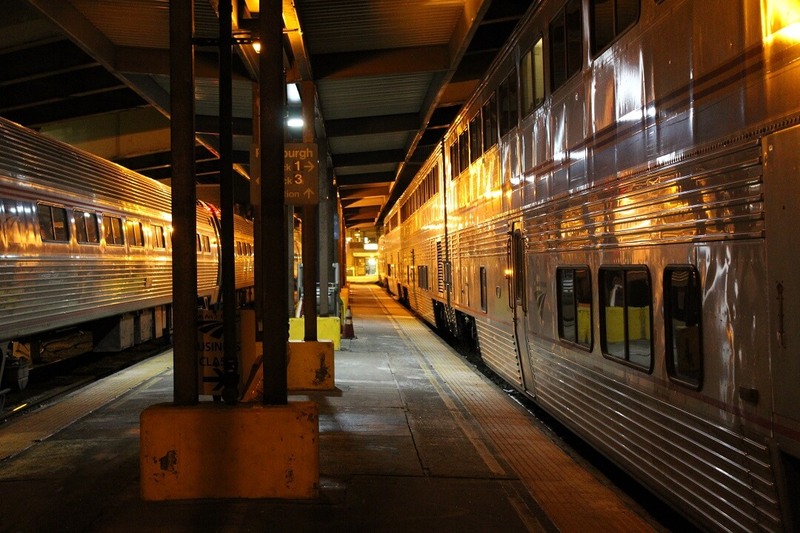 If you want to travel to the other side of the United States by train, you’re bound to go via Chicago. From there all the amazing trains such as the “California Zephyr” and the “Sunset Limited” depart. Towards Chicago there are numerous trains per day, with fares starting around 80$ single trip. Instead of buying single trips, it might be cheaper to look into one of the Amtrak Rail Passes. I took the 4:05 PM “Capitol Limited” from Washington D.C. towards Chicago, my first segment of my round-trip journey. Roughly half an hour before the train departs you are allowed to start boarding. Upon entering the train you will be assigned a seat number, which will remain yours during the journey. After everyone has settled in, you may ask for another place if you wish. I specifically wanted a window-seat without obstructions blocking the view, which I was luckily already assigned to. Right on time the train departed from Washington D.C., with various intermediate stops till Chicago where we would arrive at 8:45 AM the next day. I slept perfectly well over-night, as the seats offer an amazing amount of leg space. Furthermore the seats are ‘recliners‘, which can be put in quite a comfortable angle. If you prefer, you can also book sleeping accomodation, but that’s quite expensive! I really enjoyed the amazing views while rushing through stunning landscapes and small towns. The train is really comfortable and also offers breakfast, lunch, dinner and other types of beverages and snacks if you desire. There is only one downside about traveling through the United States by train: delay. When I woke up in the morning I noticed that we were traveling at quite a slow pace, with frequent stops in the middle of nowhere. Most of the railways in the United States are owned and massively used by freight operators, who have priority of passenger trains. Furthermore those railways are mostly build as single-tracks, with an occasional ‘siding’ so that trains can pass each other. Apparently that morning it was very busy with freight trains, as I arrived at Chicago approximately 2 hours and 30 minutes late. But why would that let you down? The train is comfortable, it’s warm and cozy and I simply enjoyed the adventure. I had a planned 5-hour transfer in Chicago, which would allow me to wander around the city before I would go to my next destination. But first it was time to embrace the freezing cold of Chicago! Read more about my travel experiences in the United States and get inspired!